In the full swing of summer, there are a greater number of gatherings at which under-21 guests are consuming alcohol. Adults who host these parties or provide the alcohol need to know they may not only face criminal sanctions, they could be held civilly liable should an injury result. Boston drunk driving accident lawyers are familiar with M.G.L.c. 138, § 34, passed in 2000, which holds social hosts liable for injury to innocent third parties by an intoxicated guest when the host supplied or provided alcohol. There are few cases in which the courts have allowed a person to be held liable for injuries sustained by the guest – even if that guest is underage. That was the case in Stafford v. Roadway, in which an intoxicated underage party guest sued for burn injuries sustained after he stumbled into a bonfire. The case recently made it all the way to the Connecticut Supreme Court. What really undid the case for this plaintiff was the issue of contributory negligence. Laws on this principle vary from state-to-state. Massachusetts and Connecticut both follow the Modified Comparative Fault Model with a 51 percent bar. Essentially, this means a plaintiff who is deemed responsible for 51 percent or more of an injury is barred from recovering damages. However, someone with 50 percent or less fault can recover damages, though compensation would be reduced based on the degree of fault. In the Stafford case, the plaintiff, who was 20 at the time of the incident, had been drinking for the better part of the day with beer purchased by a friend. He went to a barbeque, stopped by the home of an adult friend for several hours and then headed to a bonfire. By all accounts, the plaintiff was drunk when he arrived at the bonfire. The defendant, the adult owner of the home where the plaintiff had stopped mid-day, never supplied the plaintiff with alcohol, but neither did he stop him from drinking that afternoon. The plaintiff contended that but for the defendant’s negligence in allowing him to consume alcohol at the home, he would not have been so intoxicated that he fell into the fire. 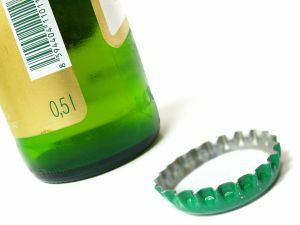 The courts disagreed, finding that while the defendant was liable, the plaintiff shared at least 51 percent of the fault for what happened that night. Therefore, he was ineligible to collect damages. Usually when we see social host liability cases, it’s in reference to third-party drunk driving cases. In some instances, homeowners’ insurance can cover these expenses, though not every policy will. Even if a homeowners’ insurance policy does cover injuries stemming from adults who allow underage drinking and driving, it may not cover all of those expenses. Further, it will not indemnify a person from criminal charges, which could result in up to one year in jail. Parents have a duty to ensure teens do not drink in their home, regardless of whether they are present. Recognize that if your child hosts a party while you’re not there and underage guests are provided alcohol, your child could be held liable – even when he or she was not the one to actually supply the booze.